Do you ever feel like you are having the same battles day after day? Something I hear often from my families is that every day brings the same battles. Nagging to get the children dressed and ready for school. Youngster over-reacting to hearing "No". It's actually really easy for families to get into a "rut" when it comes to behaviour challenges. It's "easy" because it is natural brain work. That means our reactive behaviours are mostly subconscious habits. So, if you are struggling with the same arguments or nagging every day, please go into this knowing that this is normal! A fixed mindset can effect the entire family. 🤔What is a fixed mindset and why should parents care about it? Put simply, a fixed mindset is when a brain is having trouble regulating their big emotions and reactive decisions. Without regulation, a brain is going to have a hard time being reasonable. For example, if I spill coffee on my new shirt, I may get annoyed but I am still able to find a solution: change into a clean shirt and go about my day. A fixed mindset would be spilling coffee on my shirt and over reacting with cursing, screaming and taking it out on the people around me, maybe blaming an innocent bystander (like my husband!). Now, think about all the times you have noticed your little one getting into a fixed mindset. Maybe they just can't let something go. Maybe they always have to win, otherwise they give up or get angry. Maybe they struggle to handle any small changes in the routine or plan for the day ("Oh no it's raining. We can't go to the park" ends up in an outburst or tantrum). These are all very common signs of a fixed mindset. The good news is that there are simple ways we can begin building a more adaptive, growth mindset as early as the toddler years. 🤔Why is a growth mindset important for families? Let's look at it this way: what would you like to see during an argument or an outburst? "I wish he would just listen!" or "Why won't she calm down, it's not a big deal!!" Practicing a growth mindset is what allows children and adults to be reasonable when faced with a challenge or disruption. "The answer is 'No' and that's okay because there are other options to choose from." "I can't do that right now and that's okay because it will be there later when I finish my homework." "My sister is having a turn with that now and that's okay because I have all these other toys to play with until she finishes." That sounds amazing doesn't it? So, where does this begin? How do we start teaching reasoning with unreasonable children? Well, you probably know what I am going to say if you have read my other blog articles! Teaching a reasonable, growth mindset begins with us. No real surprise there, is it? When your child is being unreasonable and possibly outright difficult, start with regulating your own big reaction. Once you are able to keep yourself in check ("This is natural brain work and not my child's fault so I will be their pillar of calm while they need me.") your child will begin to mirror you. You are where your child learns how to self soothe during those early years when it feels impossible to reason with them. Remembering that under four years old your kiddo is unable to truly reason on their own, so this is why your self regulation is their compass. They will gradually follow your lead. Once you and your child are beginning to regulate those big emotions you will be opening a doorway to relate to them in the moment. "I can tell this is hard for you because your cheeks are flushed and you were yelling. Sometimes when I feel upset or angry I yell too." Keep it simple and be open with yourself and your little one. This is a great place to start. When we see our own behaviours in our kiddos we can easily relate to their emotions and begin rebuilding that connection which allows us to move on the to the next and final R.
Now that we have regulated our big emotions, thereby helping our little one to regulate their reaction, and found common ground by relating to their feelings we are able to finally begin reasoning. When a child is upset their brains are not able to stop and listen. That means that we cannot begin reasoning until we have reached this point in the conversation. "Sometimes when I'm angry I take a walk or listen to music. This makes me feel better. Would you like to listen to some music with me?" Following a couple songs you and your child are now in a place to discuss the event. "Earlier I noticed how upset you were. Would you like to tell me about that?" Please notice that we are focusing on narrating what you see and validating their emotions. There may be an instinct to dominate their behaviour, "Do not yell in MY house! ", "He is so spoiled!" or "See? You are acting like a baby!" however behaviour studies have shown that when we act on that reactive emotional drive (controlling someone else's behaviour) it leads to further disconnection while also missing out on an opportunity to build a growth mindset. 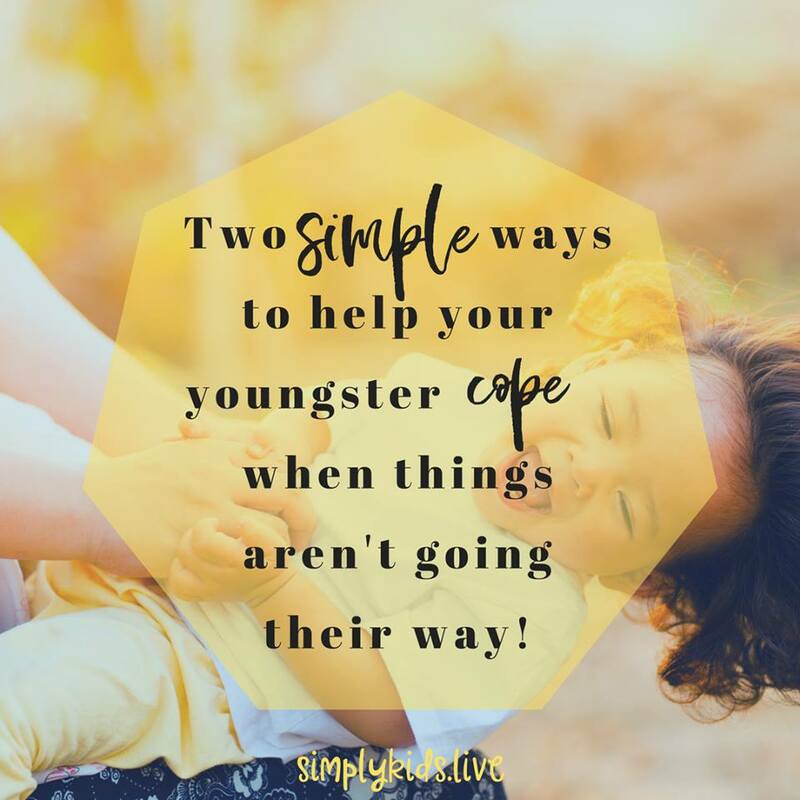 Put simply, the more reactive we are, the longer it will take for your little one to build a healthier, reasonable mindset and you will find the same daily battles creeping back in. Have you found this helpful? What do you think of the three R's we use when kiddos are being unreasonable? You can begin teaching a growth mindset with our downloadables: over 50 activities and conversations for confident and considerate kids! Grab FREE Handout - 10 Simple Ways to Connect! Why is parenting as a team so hard and how can we make it easier?